The first atomic bomb was developed in the Manhattan Project. On October 11, 1939, Alexander Sachs; unofficial adviser to President Franklin Delano Roosevelt met with the President of the United States. The reason of the initiation of the meeting was a letter written by a scientist named Albert Einstein to President Franklin D. Roosevelt. The main point of the letter is to inform the President of the United States about a technological breakthrough that will produce a powerful bomb. The letter also warns the possibility that Germany is in the way to build the weapon and that the United States should be the first to do so according to the letter for the President of the United States. President Roosevelt was hesitant at first but he eventually came around. Up until April 12, 1945 President Roosevelt, worked with the experts in the field to do what he can. On April 12, suddenly, the President died due to an illness. The responsibility and privileges of the office of the President of the United States were transferred to President Roosevelt’s Vice President; Harry Truman. It was exactly at 5:30 a.m., on Monday, July 16, 1945 that the atomic age began. Trinity, the name of the first nuclear test by the United States was successful in New Mexico. The United States, which, its history shows, wants to be the first to do everything, has achieved the number one spot to test nuclear weapons. After the Cuban missile crisis in 1960s, President Kennedy and Russia’s Premier Khrushchev at that time established a telephone hot line, and in 1963 they signed the Limited Nuclear Test Ban Treaty that banned nuclear tests in the air and in the water. This marks the first step in avoiding the atomic bombs. The history of atomic bombs began as a result of an attack at Hiroshima and Nagasaki Which, was after the Pearl Harbor surprise attack by Japan against the United States. The events of the attacks are not officially related although the atomic bomb attack maybe considered as a revenge of the United States on Japan for what the Japanese have done. The official excuse of the usage of the atomic bomb on Hiroshima and Nagasaki is the hope of ending Word War II and in the words of President Truman, it was to end the bleeding and killings of Americans that would have been dead or injured if it was not for the atomic bomb. That being said, in his address to the nation regarding the action that his administration has taken, President Truman did in fact reference the Pearl Harbor surprise attack to name the Japanese as the enemy who deserve justice after what they have done. There are a lot of theories as to why a self described “ a cause for good,” country would ever drop atomic bombs twice in a country. The attack at Pearl Harbor by Japan against the United States was not that far off from the attacks in Hiroshima and Nagasaki by the United States against Japan. “The day in which we will live in infamy,” so said the President of the United States speaking of the 1941’s surprise attack by Japan against the United States in which Japan attacked Pearl Harbor. The surprise attack was surely a surprise and the response is now a history for the books and it forever changed the history of the world. The United States has started the implementation of nuclear weapon and went even further by using it against Japan which is credited to end World War II at least alongside with the invention of the Soviet Union against Japan in days differences after the first of the two atomic bombs ever dropped in Nagasaki and Hiroshima, Japan. In United Nations, New York, the United States called upon a special conference regarding this matter. President Obama chaired the special conference to discuss how to deal with atomic bombs in 2010. There has not been any discussion since then except an agreement between the Russian Federation and the United States in which the two countries have agreed to decrease their weapons even more. There were a lot of questions as to why the atomic bomb was used. Was it a morally correct thing to do? Did we use the atomic bomb to show the Soviet Union what we are capable of doing? Is the atomic bomb even responsible for ending World War II? President Truman answered this way to this question when explaining the actions of the United States under his administration. “We have used it in order to shorten the agony of war, in order to save the lives of thousands and thousands of young Americans.” Whether or not that was a justifiable explanation takes a perspective. Surely though, regardless of its intent it sets an unfortunate precedent. Not everyone will necessarily use the atomic bomb even to end a war; nor does everyone has it; at least officially. We live in a dangerous world along side allies as well as foes. Others can easily say; if it was okay for the United States to use it in Hiroshima and Nagasaki then it is okay for them to use it, especially against the United States. It is officially known eight countries; United Kingdom, China, France, India, Pakistan, Russia, United States and Israel have a nuclear weapon, although Israel’s nuclear weapons are not officially recognized. North Korea has a nuclear weapon capability and has now tested three of them. Under a NATO agreement the United States provides nuclear weapons to Germany, Belgium, Canada, Greece, Italy, Netherlands and Turkey. Immediately after the fall of the Soviet Union Kazakhstan, Belarus and Ukraine had nuclear weapons but they give up their nuclear weapons to Russia. South Africa, Argentina, South Korea, Libya, Brazil and Taiwan have all had nuclear weapon programs earlier; they have stopped their programs over time. Countries like Iran are believed to be in the way of developing one if they have not already. The above list of countries includes countries that we either suspect or know for a fact that have nuclear weapon. It does not include what we do not know posing as to wonder that who else has the atomic bomb? The deadliest war in history of the world is also the most technologically contributing war in history. In order to win the war, technological advances have been implemented. It was during this time period when the first and only time the atomic bomb was used against another country. Scholars give a range of 50,000,000 - 70,000,000 of the people that has lost their lives as the result of this war. The six-year war victimized mostly civilians; who were just living their daily lives. World War II is the deadliest war ever but it is not even the longest war the United States participated in. The on going war in Afghanistan has now officially took over as the longest war that the United States has participated in. Hopefully, it will not takeover yet another unfortunate title of being the deadliest ever. The United States used the atomic against Japan, which many historians suggest to be the cause that made Japan to surrender and effectively end World War II. It was also only days after the first atomic bomb ever dropped that the Soviet Union invaded Japan. Everyone in the academic community could legitimately argue one way or the other. Japan officially surrendered on August 14, 1945, six days after the Soviet Union’s invasion and five days after the second atomic bomb was used in Nagasaki by the United States. Atomic bomb conceivably may not force Japan out of World War II, but the idea of nuclear weapons is a threat to the United States, our allies and the very existence of humanity as a whole. It may have ended the deadliest war in the world in 1945, but atomic bombs may end the world all together at some point. It can be avoided by dismantling the weapons. The foreseen threat of atomic bombs, not only to the United States but; also to the world is threatening enough. There may also be a threat that is yet to be in our imagination from the atomic bomb. Dismantling the weapons is probably the only way to go. Perhaps, the United States should start the process as it has promised to do alongside the Russian Federation in a treaty signed by President Obama and then President Dimity Medmedev of Russia. For all the dangers that has possessed in all humanity, atomic bombs are yet to be declining in number, if anything it is increasing. There is however a whole lot of talk with little actions as to how to make sure there is no more atomic bombs in the world. There are five countries who have a nuclear weapon and who signed on the treaty to get rid of atomic bombs. The Non - Proliferation of Nuclear Weapons (NPT) is a treaty that is intended to stop the spread of atomic bombs. Hundred and ninety countries have signed on the treaty; which makes this treaty a treaty signed by the most countries out of all other treaties. Five nuclear states also signed the treaty including the United States. Countries like North Korea originally signed the treaty before opting out of the treaty in 2006. Just in terms of the United States and our safety, looking at the list there may not be an immediate threat. Russia may have been our opponent in the Cold War but we are in relative peace with them even if we disagree with them on some issues. China is only an economic rivalry and a partner as well. Israel, the United Kingdom, France and India are our allies and close friends. Pakistan, who is our strategic partner in a war against terrorism, has disappointed us when they arrest the man who pointed to us where Osama Bin Laden was. But never the less we have a good and important relationship with them. So, relatively speaking none of them are an immediate threat to United States. Pakistan and India once were in civil war. We may be forced to be involved if something were to happen between them. North Korea, which already has nuclear capabilities, could be a threat to South Korea, our ally. Fortunately; although no one should read too much in to it, North Korea’s newest leader; President Kim Jong Un seems to want unification of the two Koreas according to a rare New Year’s address to his country. 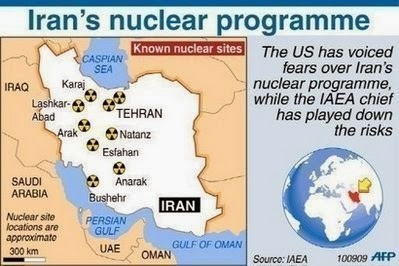 A nuclear Iran is a threat to everyone in the world especially our friend and ally, the state of Israel; which Iranian president Ahmadinejad claimed should be off the map of the earth. The International Atomic Energy Agency (IAEA) was created in 1957 under President Eisenhower’s suggestion according to his address to the General Assembly of the United Nations. The IAEA watches over countries and their usages of atomic related activities. The organization’s motto is “Atoms for peace.” “Atoms for peace” is an effort to make sure that countries that use atomic related activities do so for peaceful reasons. The organization has its own guidelines and regulations that countries must meet. In a case where there is dispute the IAEA sends in delegates to the country to further investigate that country’s nuclear advancement from its own guidelines and regulations. Time and time again the IAEA accuses the Islamic Republic of Iran of building atomic bombs without the IAEA’s knowing about it, which the government of Iran denies. 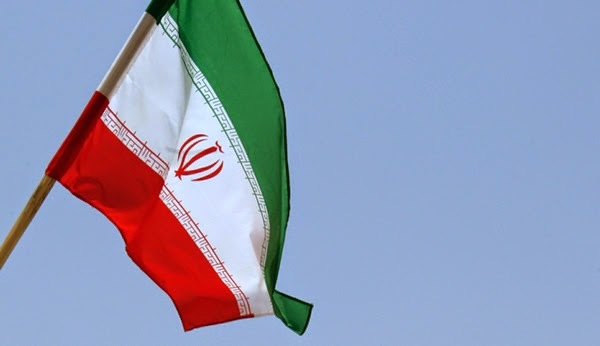 There also seems to be a consensus more than ever that unless Iran stopped its nuclear development, there will be further consequences against them in which military action is among the range of possibilities. The only big difference involves the now famous video of the “red line” comment that has been defined by Israeli Prime Minister Benjamin Netanyahu in his annual address to the United Nation which set the red-line to a 90% enrichment of uranium; which is used to develop the atomic bomb. This article is abridged. First published on LinkedIn.